Impressive results from the 2012 Finscope survey for Rwanda. 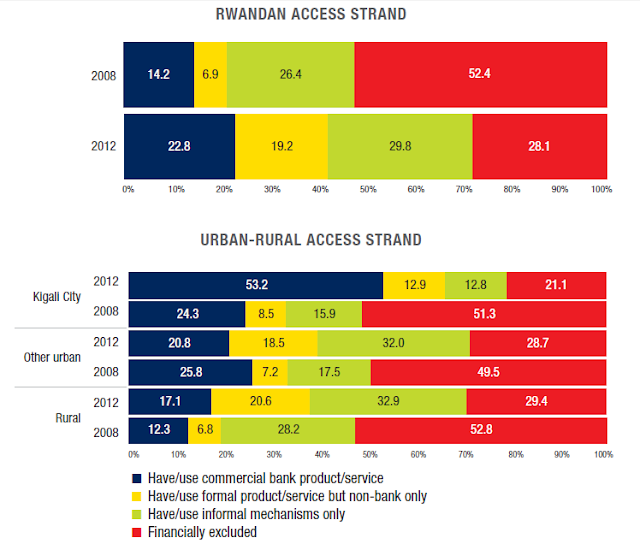 Since 2008, access to commercial banks has increased by 60%, access to other non-bank formal financial services (e.g. Savings And Credit Co-operatives (SACCOs)) increased by 275%, and total financial exclusion has fallen by almost half. Someone is doing something right.